What’s New at Mask? The Newest Products, Newest Services, Newest Everything! At Mask Hair Designs and Day Spa, we take great pride in offering our guests only those products that we determine are the best available to our industry. 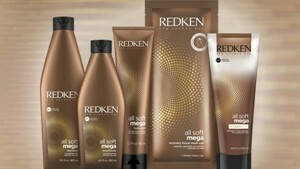 We are proud to be a REDKN Elite salon, and offer a full line of REDKEN products, keeping you up-to-date with the newest products. Our service providers participate in continuing education to keep current in product knowledge and application techniques. Have a question about about a style, trend, or a problem area? No problem – just ask your service provider for a product recommendation! NEW at MASK - Japonesque! Driven by the love of creating beauty, JAPONESQUE has earned the reputation of creating the most refined, innovative and distinctive beauty accessories, makeup brushes and cosmetics in the world. Favored by celebrated makeup artists and beauty professionals worldwide, JAPONESQUE products are crafted with precision and performance in mind. Exceptional materials, superior craftsmanship and uncompromising standards have allowed us to create a line of coveted products that deliver flawless results. JAPONESQUE is trusted by makeup artists and beauty aficionados alike and has some of the most desired cosmetics and beauty accessories in the world. Cleanse – Sensitive Skin Cleaning Oil’s natural olive and plant oils, hemp seed oil and vitamin E soothe the skin without stinging. Use it to remove makeup + cleanse skin – without worry of irritation. Mist – Soothing Reset Mist leaves sensitive skin nourished, hydrated and protected. Aloe vera and chamomile, plus deeply moisturizing and barrier strengthening silver ear mushroom comfort, reduce visible redness, and calm reactive skin. Barrier – Barrier Fix Daily Hydrator targets irritation and strengthens skin’s barrier with a whipped blend of hyaluronic acid and silver ear mushroom – plus natural plant glucosides and ceramides – to diminish signs of overactive skin. Brighten – Sensitive Eye Smoother is packed with hydrating aloe to shield against irritants as it restores the thin barrier around the eyes with protective ceramides. It brightens and reduces the look of puffiness with a blend of rhodiola root and silver ear mushroom. A white truffle, caffeine + murumuru butter creme face and eye mask that’s a stimulating, instant-radiance treatment to rescue skin worn down by age, stress and lifestyle. 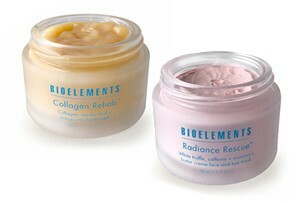 Rescues worn down skin, increases elasticity, reduces lines and eye puffiness, delivers instant glow. An ingenious fusion of collagen-supporting amino acids, softening mango and moisture-builders rehabilitate aging, lined and exhausted skin. Rehabilitates aging skin, fills lines and firms, saturates for 72 hours, delivers instant dewiness. All Soft Mega care system with omega-6 enriched argan-oil nourishes for intense softness. It replenishes and maintains essential moisture balance to keep hair silky soft with increased manageability, suppleness and shine. 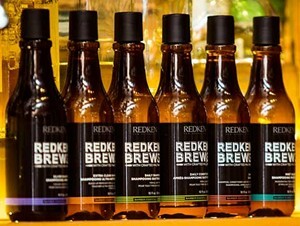 Part of the REDKEN SMART Haircare family, the shampoo, conditioner, and mega mask are now powered by RCT Protein Complex. Even severely dry hair can now achieve touchable softness with the complete All Soft Mega system. Infused with a nourishing superfood mix of sacha inchi extract, aloe vera gel, and cactus extract, and Redken’s exclusive RCT Protein Complex to treat hair from the root to the core to the tip. This pre-shampoo hair scrub gently buffs impurities from your hair for maximum hair shine and an easier, faster blow dry to increase hair shine. Detangle Blow-Dry Addicted Hair and keep your hair moisturized without weighing down your blow out or dulling your shine. NO Blow Dry – Air Dry StylersNo Blow Dry, No Big Deal. Want a faster air-dry without sacrificing effortless texture or a product feel? Discover No Blow Dry Air Dry Stylers. All three formulas, one for each hair type, feature Redken’s Air-Tex Technology—which is equipped with flexible polymers so you can experience control with movement—as well as quick-dry polymers that lead to faster drying time. No Blow Dry is perfect for those of us who are taking a break from heat tools, tight on time. or looking for heatless, effortless style! The hair care solution your blonde hair has been looking for! 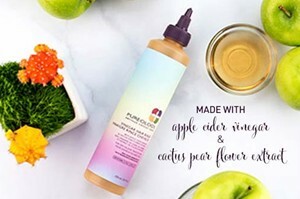 This 3-Step blonde hair care system features violet toning properties to tone all shades of color-treated blonde, highlighted and lightened hair and neutralizes brassy, ashy tones. 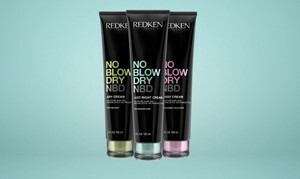 Dry, fine, colored hair needs a special defense: Hydrate Sheer moisturizing, sulfate-free Shampoo & daily Conditioner. 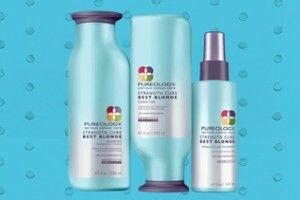 Its gentle formula keeps hair color looking radiant and delivers intense moisture to fine hair without weighing it down. Introducing the Always Bare For You Collection! Introducing the NEW 2019 OPI TOKYO Collection! From Harajuku girls to incredible street style and more – Tokyo is synonymous with fashion. From a new take on millenial pink to matcha green shades, your nail color will be ahead of every trend this season. Achieve the perfect pastel sugar high this spring with CND™ Chic Shock the Collection. Sweetly Bold Pastels. Mix, Match & Mismatch.